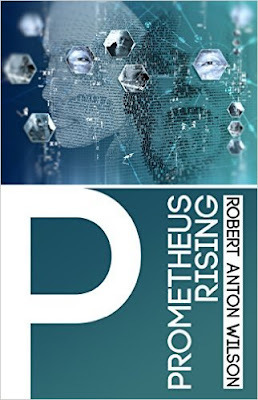 Hilaritas Press has continued its efforts to publish definitive editions of Robert Anton Wilson's works by issuing the new ebook version of Prometheus Rising, with a paperback edition to follow soon. It follows the publication of Cosmic Trigger. The new Prometheus Rising features an afterword by Richard Rasa. Here is the planned publication schedule for the Hilaritas Press reprints; the publication of Quantum Psychology is expected soon. PR is the book the convinced me that RAW was a more interesting writer than I'd first thought. I welcome its new Kindle version for my aging eyes.